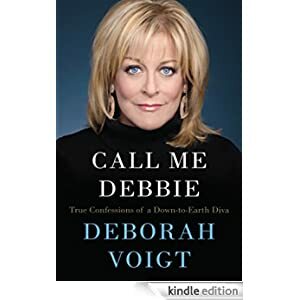 Call Me Debbie is one of the most electrifying performances of Deborah Voigt’s life. The brilliantly gifted opera soprano takes us behind the velvet curtains to tell her compelling story—a tale of success, addiction, music, and faith as dramatic as any role she has performed. For the first time, she talks about the events that led to her dangerous gastric bypass surgery in 2004 and its shocking aftermath: her substantial weight loss coupled with the “cross addiction” that led to severe alcoholism, frightening all-night blackouts, and suicide attempts. Ultimately, Voigt emerged from the darkness to achieve complete sobriety, thanks to a twelve-step program and a recommitment to her Christian faith. Buy this memoir for only $1.99 today.